« Saving my life this winter. The soup I can’t stop making. 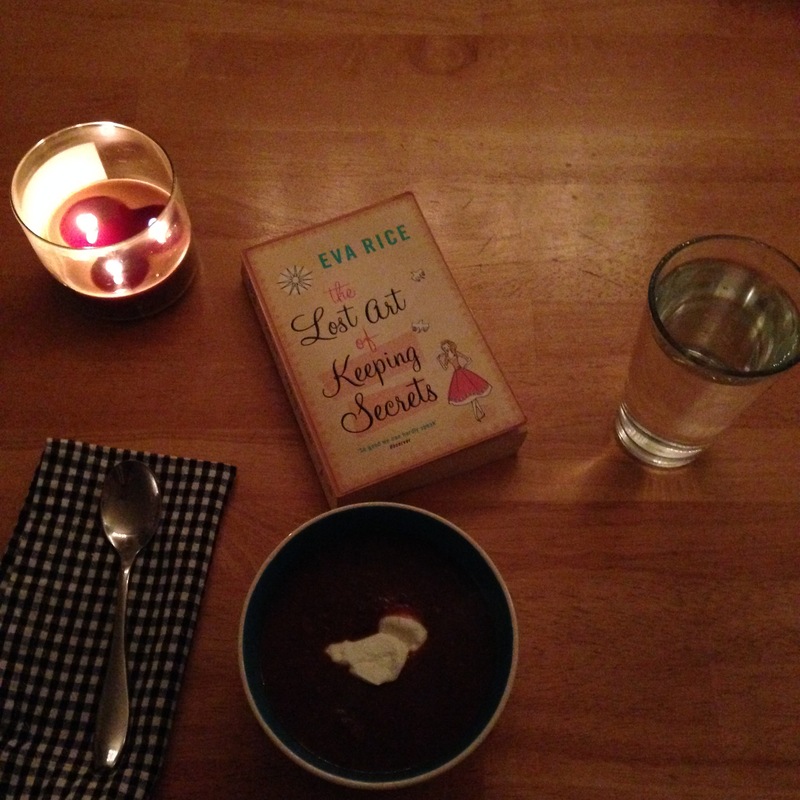 I’ve written before about my soup obsession. In the winter, you can find me stirring a pot of soup on the stove (or making use of my Crock-Pot) at least once a week. Every year, I pull out the old favorites like my grandfather’s chili, my friend Julie’s butternut squash and apple soup and my friend Rachel’s tomato-basil soup. Recently, I’ve added a newish recipe to the mix, and I thought I’d share it with you, because it’s perfect for these frigid, snowy days. My husband hates onions, so I skip them, and while the recipe recommends toppings of fresh cilantro, green onions and feta cheese, we prefer grated cheddar or a dollop of Greek yogurt. (You could also use sour cream.) I also like to dip tortilla chips in it. Heat oil in heavy large pot over medium-high heat. Add onion, carrot, and garlic; sauté until vegetables begin to soften, about 6 minutes. Mix in cumin and 1 teaspoon jalapeño. Add beans, tomatoes with juice, and broth; bring soup to boil. Reduce heat to medium, cover, and cook until carrots are tender, about 15 minutes. Transfer 3 cups of soup to blender and puree until smooth (or use immersion blender). Return puree to pot. Simmer soup until slightly thickened, about 15 minutes. Season to taste with salt, pepper, and remaining 1 teaspoon jalapeño, if desired. The week before Christmas, when life was spinning at twice its normal speed, I made a double batch of this and we ate it all week long. Several nights that week, when the hubs was working late, I heated up a mug or bowl of soup and ate it in front of the Christmas tree, staring into the twinkling branches, giving my brain a break and my body some nourishment. It’s supposed to snow at least a foot and then get wicked cold again here in Boston this week. You can bet I’ll be making this soup at some point. What are your go-to soup (or other cold-weather) recipes? It sounds like a healthier version of my Cuban black bean soup, and we’re addicted to it, I swear! Thanks for sharing this lovely recipe; I’m going to have to try it. Mexican soup (also called 10 can soup): 2 cans chicken broth, 2 cans chicken, 2 cans corn, 2 cans black beans, 2 cans rotel orginal, and fajita seasoning. I usually throw in other things…onions, diced tomatoes, lima beans or even kielbasa…basically whatever is in the fridge that looks good. YUM. Just dump everything in the pot and heat through. Done. That easy. Serve with a dollop of greek yogurt and cilantro for perfection. Sounds amazing, except my husband hates garlic and I’d end up sleeping in the guest room. Guess we’ll stick with chicken noodle! Break-break–I flew through Somewhere in France and am now mid-way through After the War is Over, thanks to your recommendations. I appreciate your thoughtful reviews! Made this soup for lunch today and followed your suggestions. It was delicious and I’ll definitely be making it again. Thank you! I made this soup yesterday. It was so delicious and easy to make!